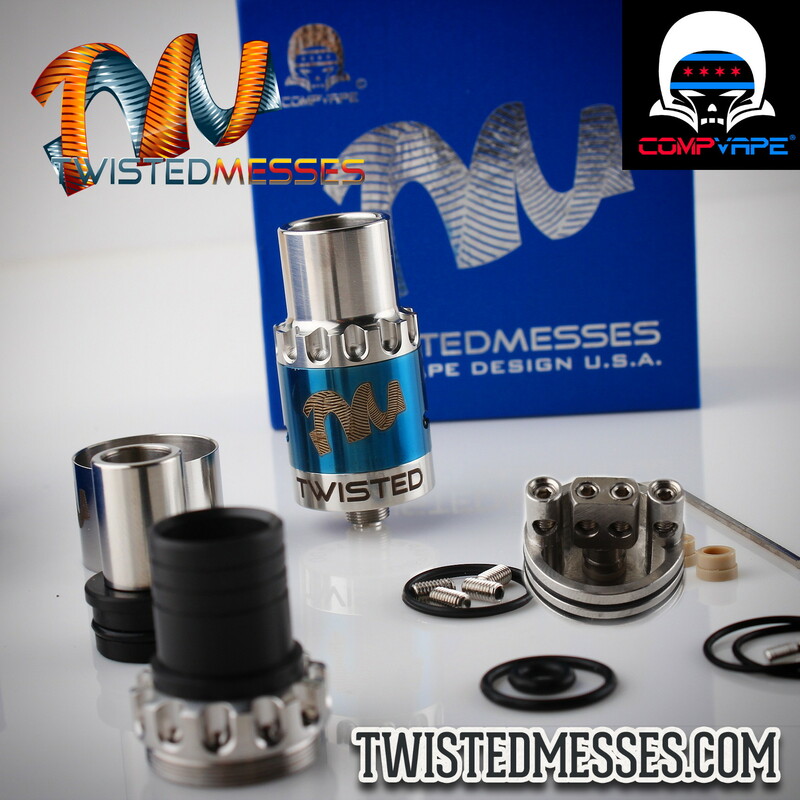 Fully disassemble-able with compatible drip-tips, top-cap and AFC Rings for the Twisted Messes² RDA (including the GOLD AF). I ordered the gray one because my black on black TM2 rda top cap fell and bent and i needed a replacement barrel which trhey dont sell seperate. THey also don;t sell the top cap seperate except for these aluminum versions. The machining is good in terms of the barrel fitting the base perfect but the afc control ring that screws down that matches the one on the TM2 rda barely threads in. It only catches near the end of its threads. You can pull it out. The 2nd AFC cap they included worked a little better but I ended up having to use my steel afc, and screw on top cap to have a solid top cap. Also these feel really not beefy compared to the original TM2. Its fulyl aluminum painted inside and out which I don;t like. So basically I paid 25 for a grey aluminum barrel because im using all my old parts. I am happy i got it working but if I would hae known Id of probably purchased a whole new RDA rather then this because the machining just does not compare. Its also not a single coil air flow option. But its still a good buy if you have a 22mm base and need a top cap. The drip tip dosnt seem delrin or aluminum, not sure what it is. 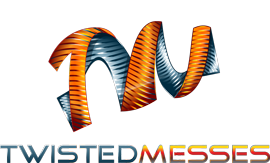 It slips out of the matching afc thread on top cap but the 2nd one they inlude that is more of the TM1 style threads a little better. Both work but are nothing like the original top cap which actually threads on and stays. Got my rda working again but not crazy about how the TM2 was perfect and this topcap is just feels clone quality. Sorry to hear you’re not happy with the quality. We’ll test one and get a replacement sent out right away for you. And let me offer an explanation on the color. The coloring is not paint, it’s anodized, which means the color is underneath a layer of aluminum oxide, so the juice is not in contact with any actual dyes or paint. Also, the drip tip is in fact aluminum. We’ll get tracking emailed to you right away. This is a followup on my first review. I originally had problems with the machining on the afc adjustment top cap but he went above and beyond in making everything right. Without me asking, and without him deleting or modifying my first review, which is very transparent and uncommon for most companies as they pick and choose which feedback they like, he took it upon him self to find my order and mail me a complete replacement he personally tested…and as promised everything is machined perfect. So I am back in business. I have only interacted with a few companies with this level of support for their customers in my lifetime. Very cool Kent, thanks so much. Awesome cap! I love it. Great quality as usual. Thanks Kent.